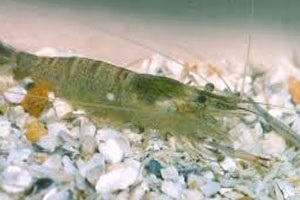 Although eye-ablated shrimp can go through ovarian developmental process and eventual spawn, the production of several eyestalk hormones that are physiologically important are also disturbed and thus the repeated induction of ovarian development is usually not achievable. Our current research interest is to develop alternative approaches to induce ovarian maturation based on molecular technology. We were successful to show that injection of a double-stranded RNA that was specific to GIH gene of the black tiger shrimp could exclusively suppressed the expression of GIH gene. Recent publication from our group further demonstrates the promising application of dsRNA to induce ovarian maturation and spawning in this economically important species. We are currently developing the delivery method that can efficiently introduce dsRNA into the shrimp. Another approach using GIH-specific antibody to neutralize the circulating hormone in the hemolymph is another research interest that is being carried out in our laboratory. Our long-term goal is to achieve multiple ovarian maturation of shrimp broodstock using these molecular approaches that specifically suppress or neutralize GIH but not interfere with other hormones instead of the regular eyestalk ablation method.